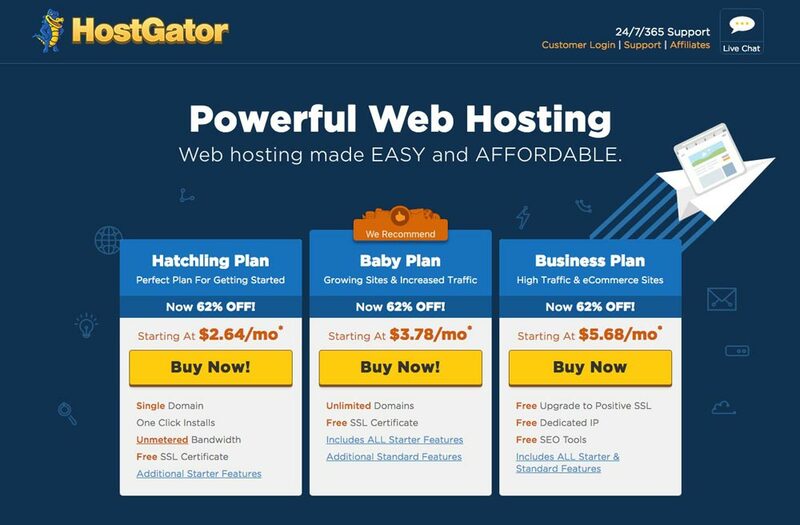 HostGator is one of the largest and most well-known web host companies in the world, which is why the team at EntrepreneursGateway.com had to include them in our Web Hosting Review. But do they get our thumbs up? Are they a reliable hosting provider? Do you have to be a web developer to use their software? Does HostGator come packed with features? Well, we’ve tested it to the absolute MAX! If you didn’t know about HostGator before now, you’ll definitely know once you read this review. HostGator boasts an uptime guarantee of 99.9%, a control panel that’s easy-to-use and marketing credits which help you to increase your traffic. HostGator offers various pricing plans and additional features. It really does a plan to suit all budgets and especially good for start-ups. Very straightforward control panel with clear icons which is very user-friendly for even beginners. HostGator also provide you with endless tutorials and FAQ pages which really help you. 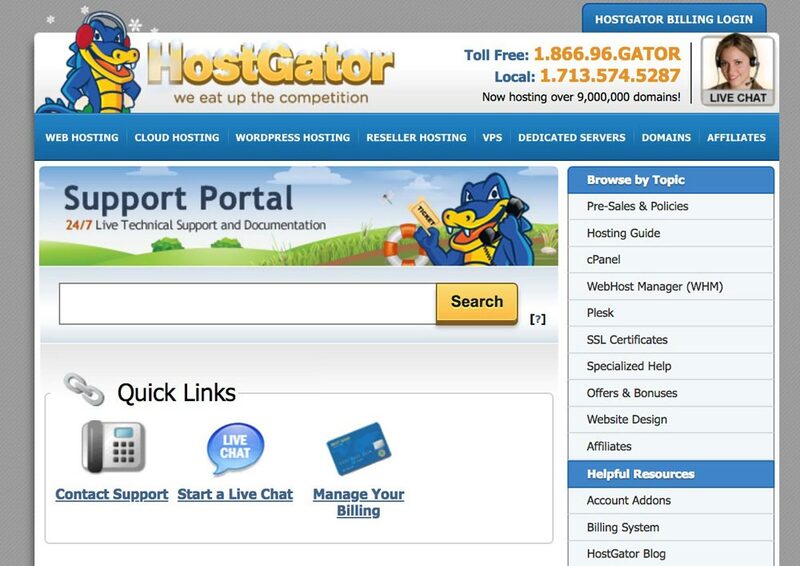 HostGator offers support 24/7, 365 days a year through either live chat, the phone, and email. 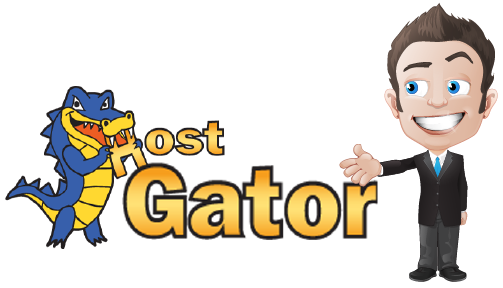 Is HostGator the right Hosting Provider for you? 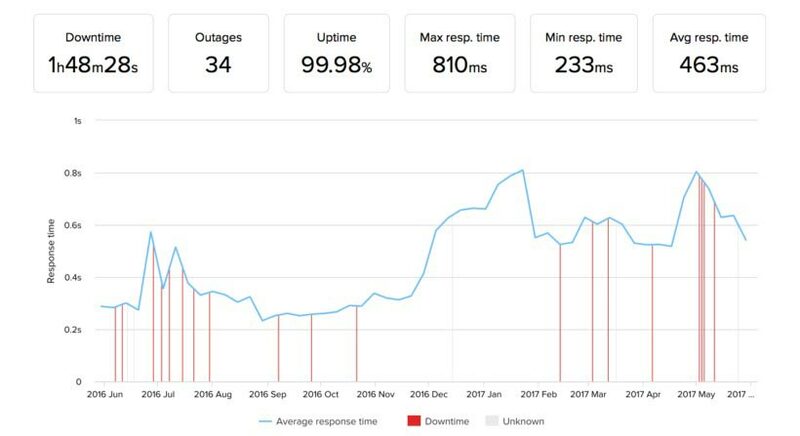 Performance: How fast will your website load using HostGator and what measures have been put into place to ensure your website is available to your customer/ prospects without any downtime? 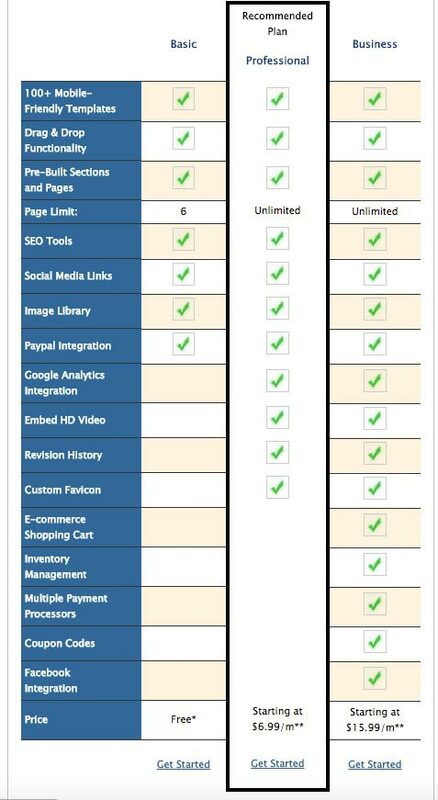 Usability – Does HostGator offer everything necessary when building your website? 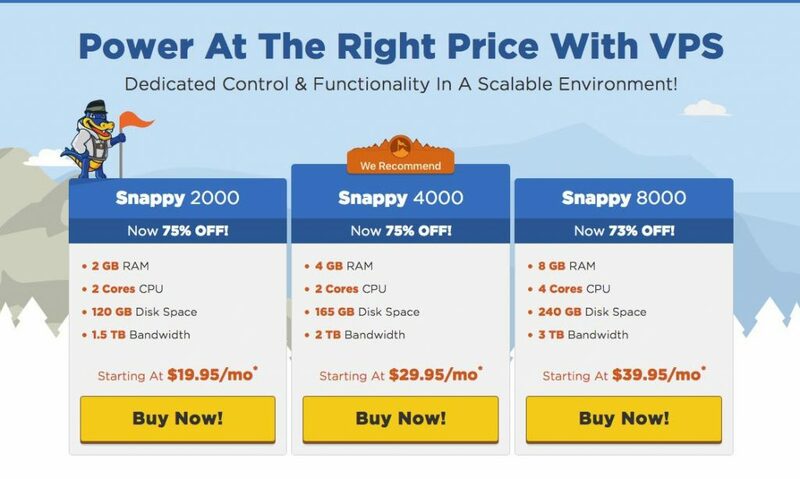 Cost – Does HostGator offer the best pricing in the marketplace? AND more importantly, what deals are available that can help you save money? What and who are HostGator? Founded by Brent Oxley in 2002, HostGator continues to grow with headquarters in Houston, Austin, and Brazil and has become a global provider for web hosting and other related services. In 2012, HostGator was acquired by EIG (Endurance International Group). EIG is an international company that also owns Bluehost, Constant Contact and many other web hosting and online businesses. HostGator is designed for WordPress and offers robust web hosting. Being popular for offering many flexible price packages, HostGator is ideal for both entrepreneurs and individuals. Offering a dedicated hosting service, providing you with your own physical server which can be run on both Windows or Linux platforms. HostGator also offer plans to cater for companies wishing to have a more commercial website. 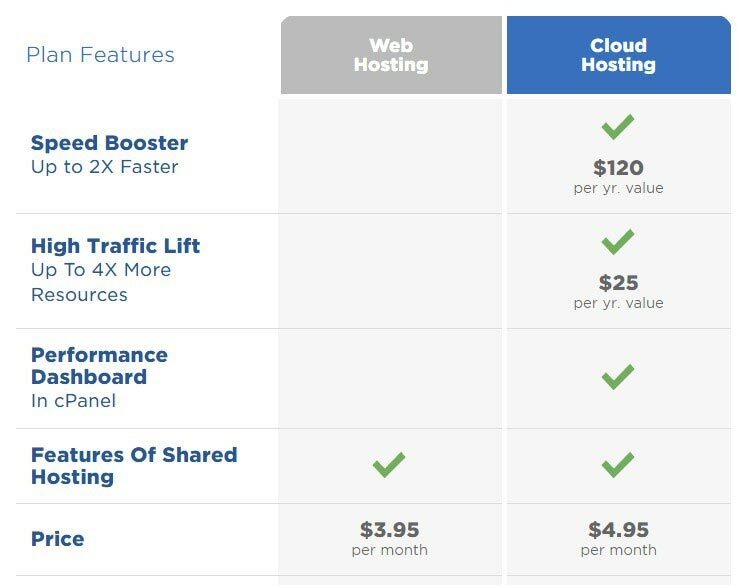 HostGator also gives you VPS web hosting, giving you the same functionality of a dedicated server, but at a much-reduced price. It is designed to work with WordPress and provides everything you need to keep your website running perfectly. HostGator promises a 99.9% uptime and has the resources to back it up. One of the largest and most popular web hosts, HostGator has thousands of servers under its management. In addition to being strategically located across the world, these servers utilize top quality server hardware and are housed in state of the art data centers that take all the necessary measures (UPS battery backup units, top-tier HVAC systems, constant infrastructure monitoring, fire protection systems, etc.) to ensure performance remains flawless and uninterrupted. Because they have world-class data centers, strategically located, HostGator can provide a reliable and quality performance. HostGator offers its customers with one month’s worth of credit if their servers fall short of their 99.9% uptime guarantee. That’s pretty confident!! Our site loaded in just under 1 second, which is faster than 94% of all tested sites. So, when it comes to HostGator and whether it’s easy to use, I have had both good and bad experiences. Some tasks have been a lot easier than others. Let’s talk about the biggest issue I had, and that was with simply managing my account. HostGator require you to have two logins. One login which lets you deal with the general administration of your account (so that you can access your billing etc.,) and then a second one where you access the control panel and where you manage your website. So, yes, I can see why HostGator have done this; most probably for added security, but no other hosting provider I have checked out does this. I found this to be very frustrating and perhaps not necessary. For site administration, I found that HostGator’s customer portal to be a little outdated and could probably do with a facelift. There are tabs at the top of the screen for all the different components you need with your website hosting such as My Account, Billing, Hosting, Domains, Support, and Marketing. 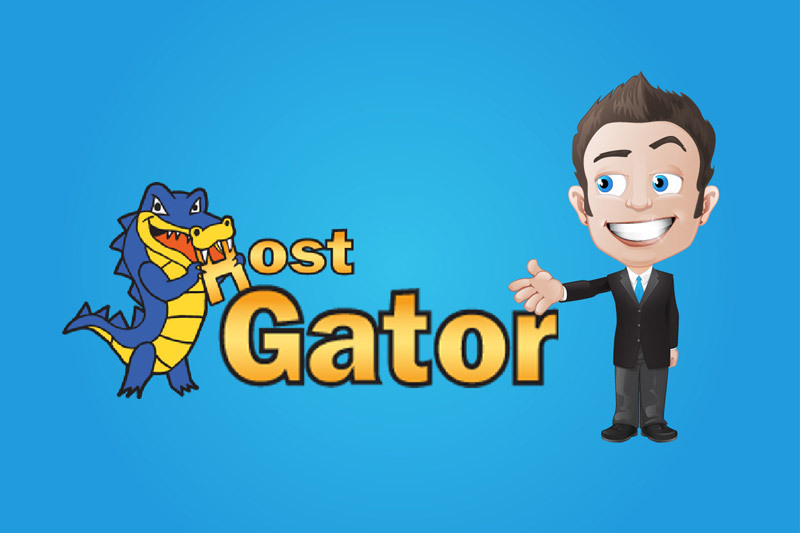 HostGator’s portal is functional, but it’s not as intuitive as some of its competitors. The tabs are fairly self-explanatory, and the interface within each one is easy to understand. It does feel a little cluttered though compared to others I have used. HostGator opts for the cPanel interface for its site administration. Overall, it’s much cleaner than their customer portal, and a lot of other web hosting providers use it. Besides the billing login issue, I did find HostGator pretty straightforward and easy to use. There are more sophisticated options that are available for both intermediate and advanced people, but I would like to point out that even beginners should be able to navigate around the dashboard quite easily to get their website up and running. This service is not always available from every web hosting company, but with HostGator, It’s very easy to transfer your website over to them. Once you’ve signed up, HostGator does everything for you. HostGator have their own tool “QuickInstall’ which quickly installs your CMS system. You don’t need any technical knowledge which is great if you aren’t that techie minded! In future, it’s easy to manage your account and add and remove email accounts from the ‘Email’ section. It really is that simple to set up. Also, as it’s hosted by HostGator, all the technical work is done by them. There is also a walk-through guide for further help. As previously mentioned, HostGator takes several channels ensuring their servers remain at full functioning capacity. Their data centers in Houston and Provo have been designed to avoid any interruptions. One way that this is achieved is due to their state-of-the-art server hardware, network, electrical and highly sophisticated HVAC systems. Their high-tech cooling systems stop their servers from overheating. They have a backup power source if there are any blackouts as well as having fire detector lasers and redundant chillers. Super cool, don’t you think? HostGator also monitors its servers 24/7, keeping any intruders out. This is achieved with what’s known as biometric locks. They also have mantrap security at their entrances and exits. There is also a system that’s been put in place for anticipating any problems as well as fixing them in real time. HostGator performs weekly malware scans to protect your site. Additionally, any package you buy comes with ‘Spam Assassin’, a powerful spam protection program, to keep any junk emails at bay. Unfortunately, HostGator only carry out a back-up on a weekly basis. They will also charge you if you need your website restored from a back-up. It’s a slim chance that their servers will crash considering the security measures they have put in place, but it’s recommended that you do your own back-up on a daily basis, or alternatively find a web hosting provider that does this daily. 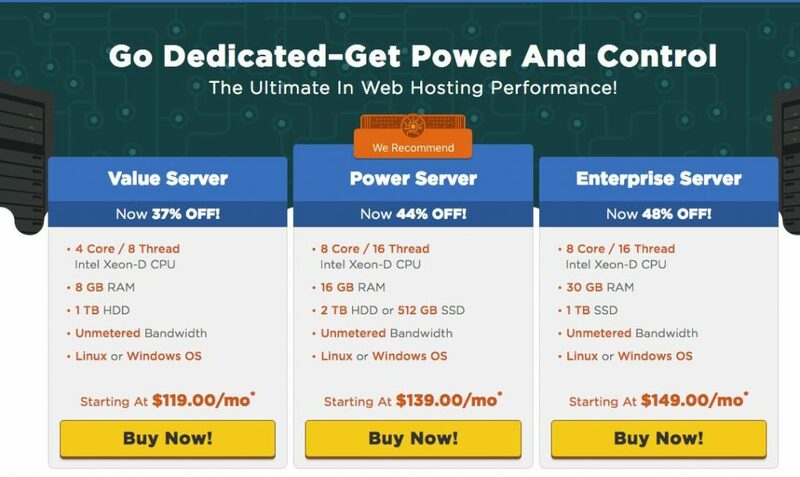 It’s fair to say that not many web hosting providers can compete with HostGator when you look at their support. HostGator have won awards for their support. They have email support, as well as social media support. HostGator also has an extensive knowledge-base, packed with FAQs, video tutorials and helpful articles. HostGator also provides a forum so you can ask questions and answer those posed by other users of the web host. Lastly, their customer support team is available either by phone or through live chat, 24/7, 365 days a year. HostGator gives their customers the opportunity to have full control over everything related to their domain name. HostGator has created its own domain name search tool. This enables you to check if your desired URL address you want to use is available. If you are simply wanting to transfer your domain to HostGator, you are able to enjoy an additional year’s extension with that domain, courtesy of HostGator. 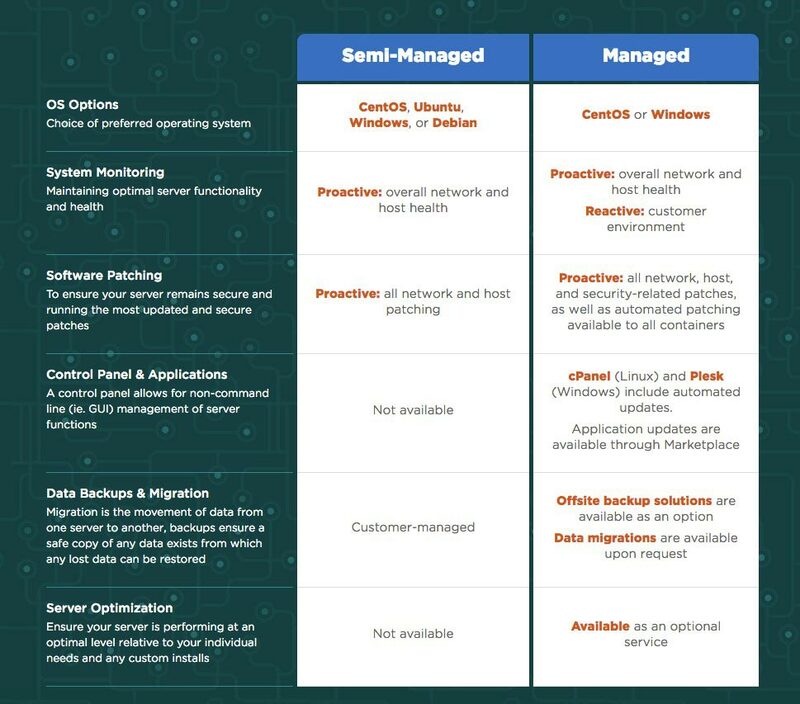 cPanel Management.This enables you to manage every aspect of your domain name straight from your cPanel. HostGator have developed their own website builder tool which provides 100+ templates, which are mobile-friendly, a drag and drop facility and pre-built pages and sections to help and inspire your website design to look professional within a few minutes. HostGator Website Builder can be purchased separately, but the basic package is available to all HostGator Customers. That’s pretty cool! With HostGator, you also get marketing tools to increase your website’s reach and to ensure you drive constant traffic to your website and therefore boost conversions. By having an SEO strategy, your website will be found on search engine results. Once your website is optimized for SEO, this will improve your rankings as well as visibility in search engines such as Google, Yahoo, and Bing. As part of your plan, HostGator offers you a FREE SEO Consultation which can help you with formulating your SEO strategy. If you choose to move forward with this, you will have your own dedicated marketing coordinator to conduct a full website audit and then conducting keyword research that is related to your business niche. Keyword Research: HostGator’s marketing professionals carry out a full research to find the best keywords which relate to your business niche. This will help with moving you up the page in search rankings. They will also determine which terms your target audience use the most when searching. They will also monitor the success of your keywords. Content Creation: HostGator have their own team of content writers which can help drive visitors to your site and thus grow your audience. On-page Optimization. HostGator offer complete optimization of your website including page titles, header tags, meta descriptions to ensure your website is fully indexed to improve your search ranking. This is another fantastic service that HostGator provides to its customers. This will definitely help you to increase your sales! They offer Pay-Per-Click services, otherwise known as PPC. HostGator offer a PPC service to their customers to help increase your sales! By targeting your customers with paid advertisements, it will encourage visitors to your site and finally help you to make a sale. Keyword Research: HostGator marketing experts will apply both local and global targeting methods. They will research keywords used across multiple devices and select the exact target audience your business needs. And even more, they’ll produce a “negative keyword list” which stops any wrong audiences visiting your site. Campaign Management:Phone numbers, direct links, call to actions and location information will all be included in your PPC adverts. Your marketing expert will manage the whole lot. » $150 worth of Google AdWords or Bing/Yahoo advertising credits. » Free site transfers when you want to move your website from another host to HostGator. And the best part is that your website can be upgraded during the transfer at no cost. However, the said migration has to be done within 30 days from the day you sign up. » Free domain name for the first term when you transfer and/or set up a new account. » 1-click installs available for all major open-source projects such as WordPress, Magento, and Joomla. » A getting-started email with links to all of the resources you will need to build your website and get it up and running. No locked in contracts and a 45-day money-back guarantee. Meaning if you decide to cancel within the first 45 days of joining, you get a full refund, no questions asked. HostGator offers many packages to fit all budgets and requirements. If you use WordPress, it can be challenging with things such as speed, security, and support. HostGator currently hosts millions of WordPress sites and offers the WordPress Cloud Hosting platform to ensure that you have a fast, efficient and secure website. 24/7 support over the phone. HostGator’s Starter Plan is for companies hosting one website, with around 25,000 visitors per month. With this, you are given 1GB of space for backups, with storage of 50GB for your website and content. The Starter Plan is ideal if you have a blog or for a site that has a modest flow of traffic. HostGator’s Standard Plan gives you the option to host 2 sites with monthly visitors of 200,000. With this, you are given 150GB of space for backups, with storage of 150GB for your website and content. This package is attractive if you have a separate website to where your blog is hosted, and you get a significant amount of traffic. 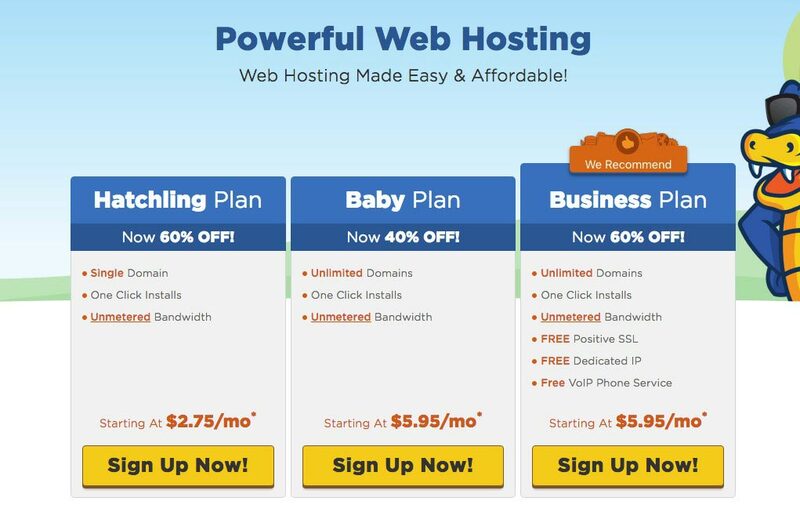 HostGator’s Business Plan Package focuses more towards high-end websites. You may have various websites as well as an e-commerce site. You are able to host 3 websites with monthly visitors of 300,000. With this, you are given 3GB for backups and unlimited storage your website and content. Full suite of tools – All of HostGator plans provide site development tools (for both site functionality and design). HostGator’s dedicated servers offer both Linux and Windows operating systems and offer both managed or semi-managed solutions. So, if you have the budget and need your own dedicated server, then the dedicated hosting package would be more favorable for you. Direct assistance with almost any configuration or technical requests (this excludes custom software or script installations). HostGator assist with all issues with hardware, your operating system, and basic configuration. Please note that there are alternative operating systems available and prices vary slightly. Generous 45-day money back guarantee that gives customers peace of mind. As for the negatives of the company, you’ll only have to deal with the issue of weekly backups, slow customer response times (according to some of the host’s users), an advanced cPanel that requires some getting used to, and no one-stop WordPress import. These are cons you can work around and still get to enjoy the immense web hosting quality of HostGator. For instance, HostGator has a large knowledge-base with answers to practically any question you could have ranging from the simplest to the most advanced. So, when the customer support team takes too long to answer, you can seek out the solution to your problem from this knowledge-base. Given that HostGator has a lot to like and very few things to dislike, you should definitely try the company if you own a website or plan to build one. If the web host does not make a good fit for your website, the 45-day money-back guarantee on offer will allow you to walk away without losing money. Are you thinking of purchasing HostGator or are you already using them? Perhaps you started reading this review with the intention of purchasing HostGator, and now you’re not quite sure! Feel free to leave a comment below, and I’ll see if I can help…..or why not check out some of my other reviews like Kinsta WordPress Hosting or InMotion Hosting!